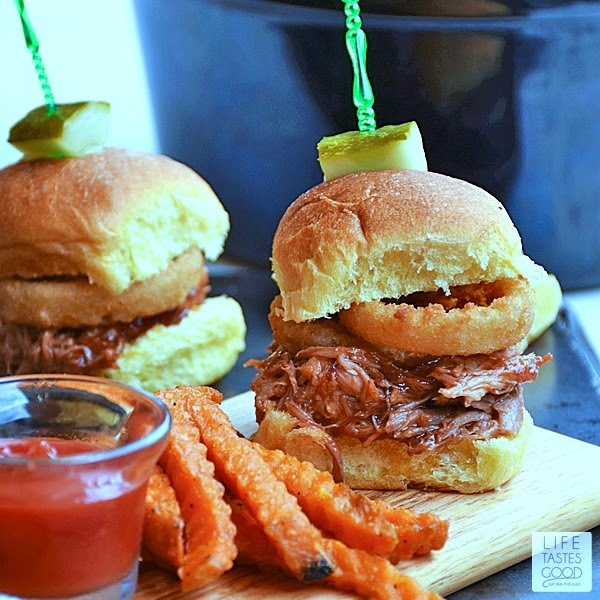 Slow Cooker Pulled Pork Sliders have the goodness of fork tender, juicy pork smothered in sweet and tangy barbecue sauce and topped with crispy golden onion rings for a nice crunch and great taste in every bite. Spring is such a beautiful time of year in FL. The weather is warm, but not too hot yet, so it's a great time to be outside all day long! Playing all day leaves little time to make dinner when we get home, so I like to throw something in the slow cooker before we leave. 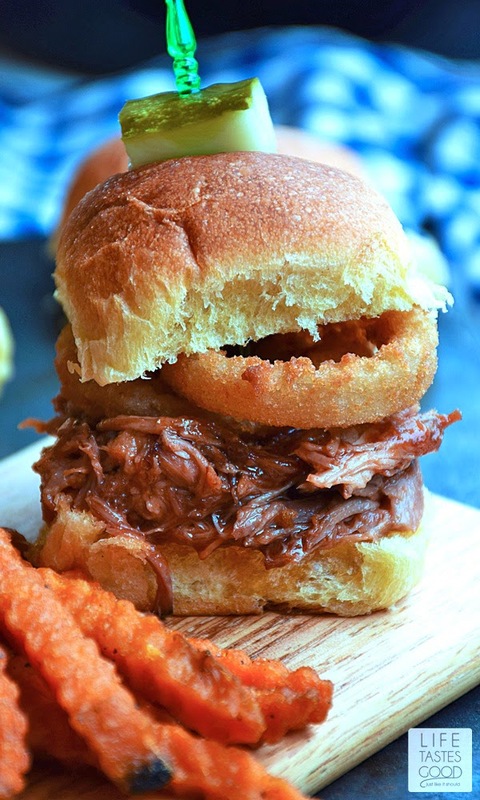 My Slow Cooker Pulled Pork Sliders topped with Alexia Onion Rings are on the table quickly and have the perfect barbecue flavor we crave. 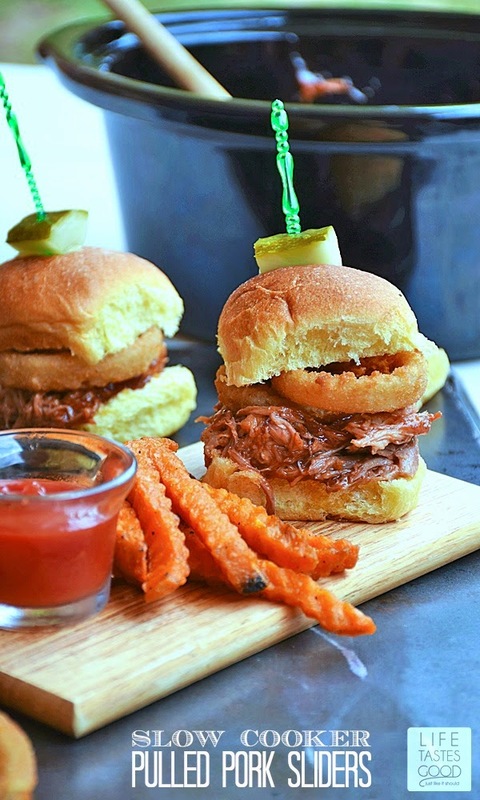 These pulled pork sliders are delicious all their own, but topping them with Alexia Onions Rings took them to a whole new level! I love sandwiches with a crunch, so the onion rings definitely brought that, but more importantly is the taste! The crunchy, sweet onions rings combined with the tender juicy pork and sweet tang of the barbecue sauce on a soft slider bun bring together so many wonderful flavors and textures, your mouth will be happy happy! 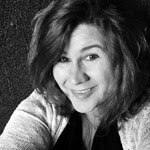 I want to take a moment to tell you how much I truly love these products. I'm not usually one to eat frozen onion rings or fries, but I LOVE the Alexia products! All of the Alexia products are high quality, 100% natural, and totally delicious! Did I mention how convenient they are? Y'all, I do love to make homemade, but sometimes I just don't have the time. I always keep Alexia fries and onion rings in the fridge to help me save time. They don't have that frozen taste. I like that!! Okay, back to the recipe... The pork is so easy to make, y'all! 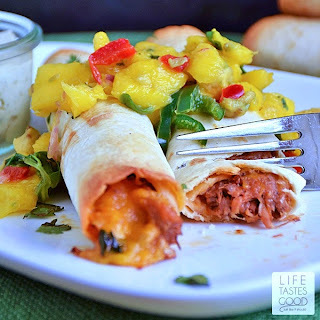 It is just 3 ingredients and all day in the slow cooker. All you have to do is season the pork with salt and pepper and place it in the slow cooker with the fat cap facing up. Pour in one can of your favorite root beer and set it on LOW for 8-10 hours. 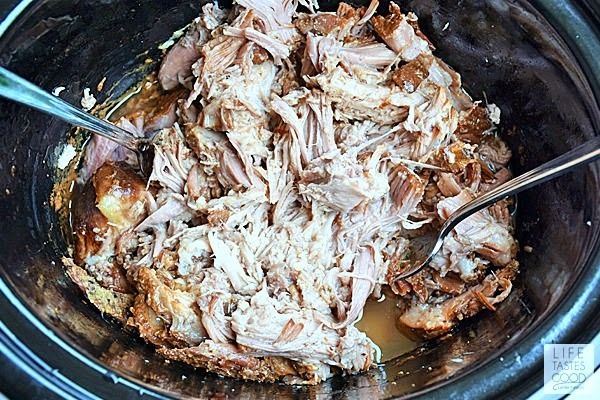 When you are ready to eat, you drain off the liquid and shred that pork with a fork. It is so amazingly tender and delish! Serve with Alexia Sweet Potato or new Rosemary Fries and enjoy this super quick and easy meal any night of the week! Season the pork with salt and pepper and place it in the slow cooker with the fat cap facing up. Pour in one can of your favorite root beer, cover the slow cooker with the lid, and set it on LOW for 8-10 hours. 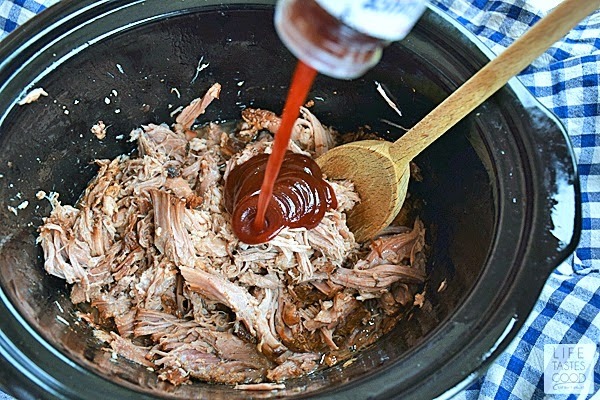 When you are ready to eat, drain off the liquid and shred the pork with a fork. Pour in the bottle of your favorite barbecue sauce. Use as much or as little as you like. Stir it to coat the pork with the barbecue sauce. Give it a taste and season with salt and pepper as needed. 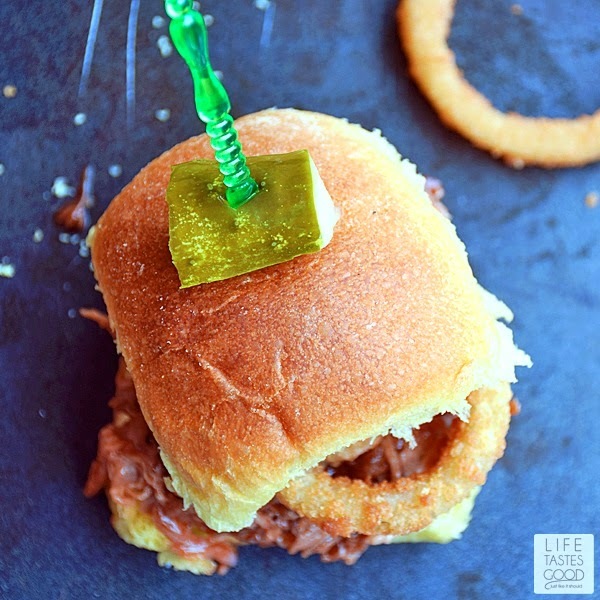 Assemble the sliders by topping the buns with pulled pork, 2 Alexia Onion Rings, and top them off with the lids. Serve with Alexia Sweet Potato Fries or the brand new Rosemary Fries. Enjoy! Cook time: 8 hrs. 00 mins. Total time: 8 hrs. 5 mins. 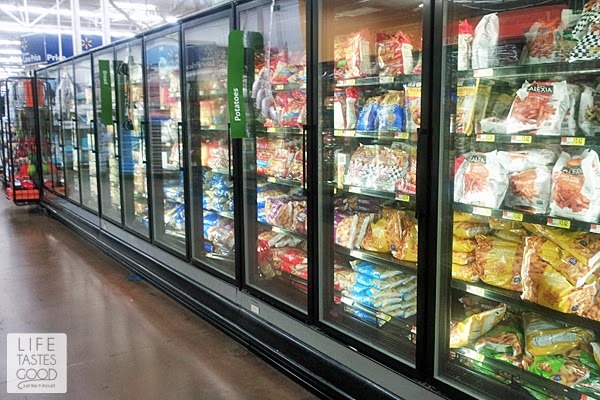 Pick up all of the Alexia products at Walmart in the freezer section. When I go to Walmart, I like to stock up to keep each of the different flavors in my freezer. I've shared my spring-inspired recipe with you. I'd love to hear about yours! Leave a comment sharing your favorite spring recipe ideas. Those sliders look incredible! 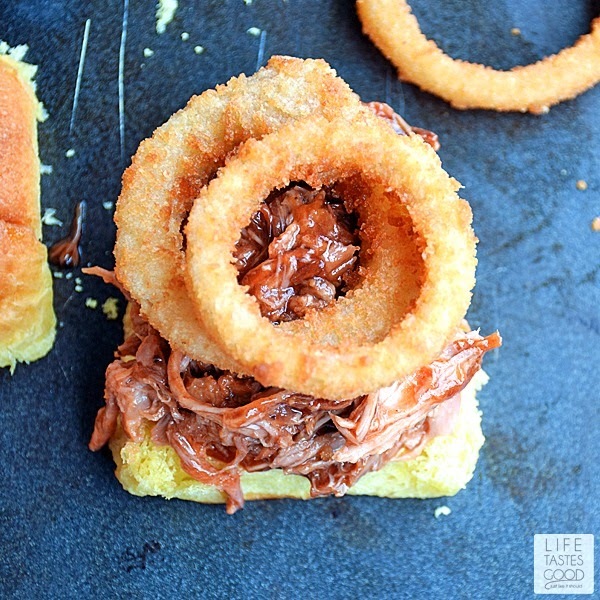 What a great idea to add the onion rings! Love Alexia products! gurrrrl, these look so good! And I'd recognize those slider buns anywhere ;) Delicious recipe Marion! haha we clearly shop at the same store :) Thanks, Erica! I am with you Marion! 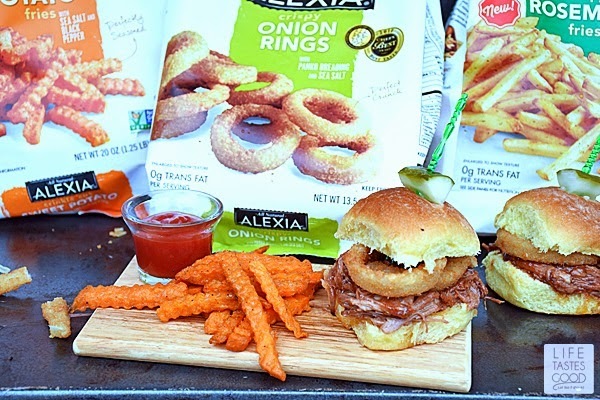 I love the Alexia products and those onion rings are by far the best out there from the freezer! Your sandwich looks amazing and wish I could grab one through the sreen! Oh man, those onions rings are soooo good! Thanks, Shelby! This sandwich looks so yummy! perfect for a summer afternoon! Thanks, Carrie! 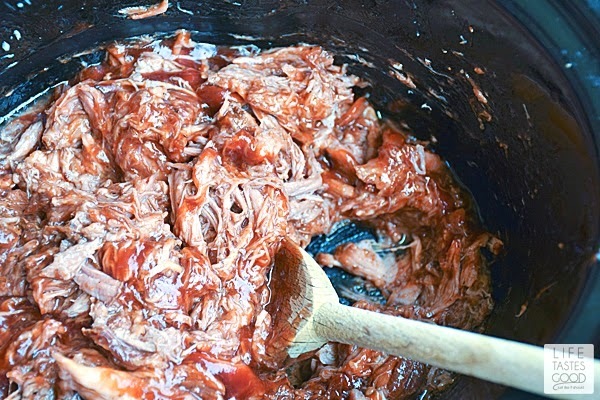 Once I started making my pulled pork like this, I haven't been able to make it any other way or eat it out anywhere! 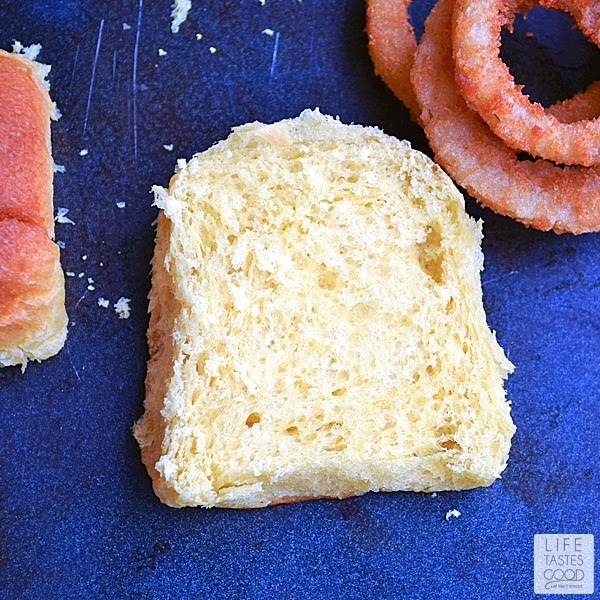 We just LOVE this recipe, and the onion rings just make them even better! These look perfect and i love those rings! I love Alexia onion rings. It is a brilliant idea to put them on pork sliders. I am so making this.